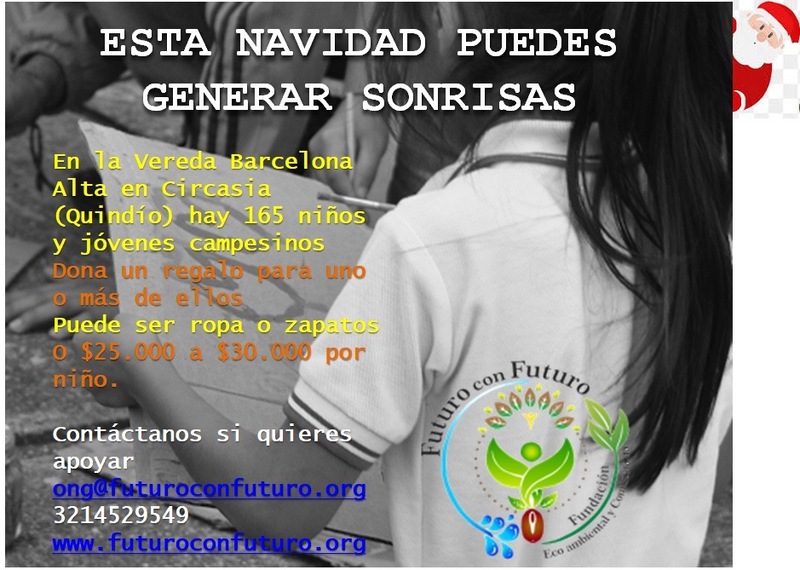 MISSION STATEMENT- Fundacion Futuro con Futuro’s mission is to generate and promote healthy alternatives in vulnerable communities of Colombia. 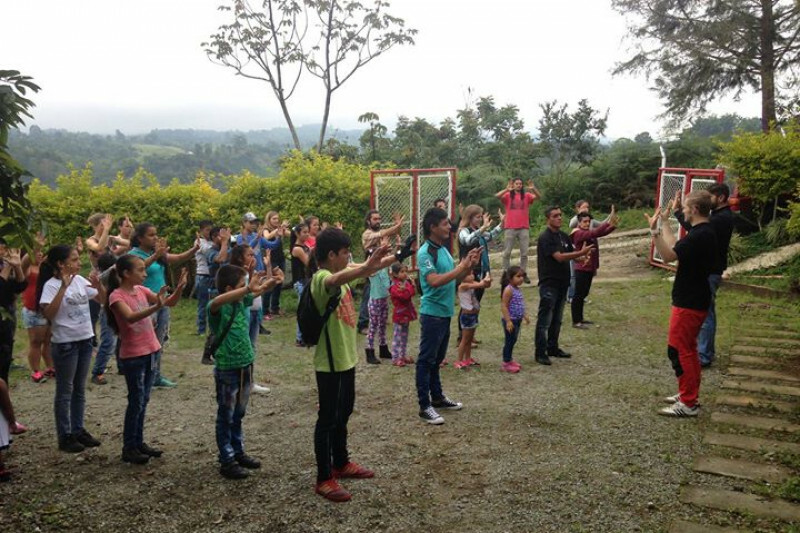 Based in Barcelona Alta, Quindio the foundation facilitates educational programs that promote sustainable food security, micro-economies, environmental awareness and protection, fitness and team building, natural health care, and community planning. 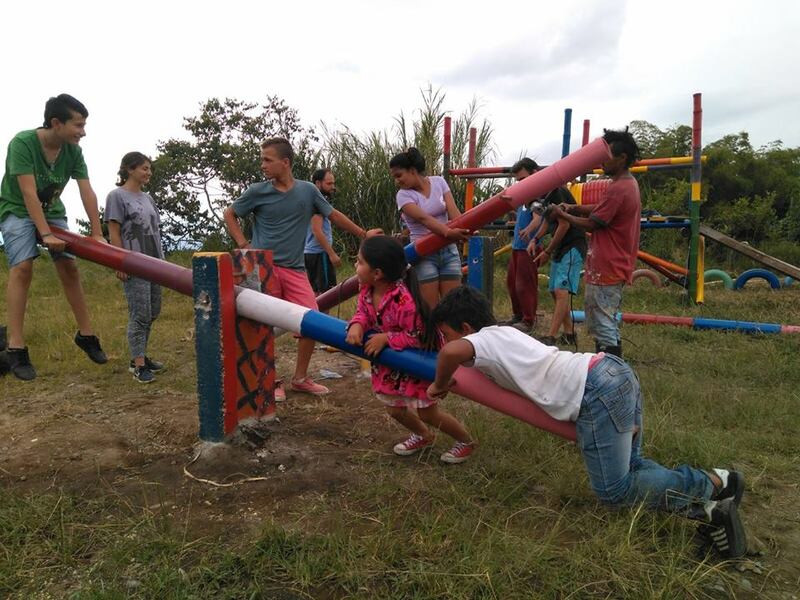 The foundation works directly with the local school system, and also houses international volunteers that participate in projects. Barcelona Alta , Quindio is a rural town that primarily employs coffee pickers and farm laborers who make substantially less than the minimum wage, and often use this wage to support a family of four to six people. The food they plant, care for, and harvest goes directly to market and the laborers do not reap the benefits the land has to offer, which often leads to food insecurity and malnutrition. 1. Casa Nuestra (Our House) is a small farm house that we have rented as a place for volunteers to stay. It also serves as a community center where children and families can participate in a variety of activities. We need funds for school materials, tools for projects, and basic house supplies. 2. Communal Food Security- The idea behind this project is to help families create a more sustainable approach towards nutrition and livelihood. Organic vegetable gardens in the community, as well as workshops on how to manage them reconnect the community with their land. Half of the produce will be for household consumption and the remainder goes to market. This promotes a healthy cycle of economic sustianability. 3. Community Bakery- With donations we purchased a baking oven! This will provide another opportunity for economic sustainability, healthier and more creative food choices, and community building. The baked the goods will be for the community's consumption as well as for sale in popular local cafes and markets. 4. Extra Curricular Workshops- The foundation provides a wide range of extra curriculuar activitiesfor the community. These workshops are designed to teach useful skills, promote healthy and safe alternatives for children and young adults, create a foundation for micro economies, and develop confidence and positivity in the community. Craft making, cooking classes, English classes, Ultimate frisbee, soccer, music classes are all examples of the workshops the foundation organizes and runs. Every dollar donated directly impacts the lives of those in Barcelona Alta. We believe that the projects going on in Barcelona Alta are models for other local populations in similar situations. Your donation is powerful.